It’s the season of bubbles. Nearly a third of all sparkling wine sold each year enters our glasses during November and December, and in apparent defiance of demand-side economics, many retailers steeply discount the wine just as we prepare to ring in the New Year. There’s no better time to pop a cork. Few of us drink sparkling wine throughout a meal (a pity), opting simply to pour it at the cocktail hour with crispy snacks and canapés. Some sparkling wine boosters steer clear of the cheese board, though, believing the palate-coating milkfat obfuscates the wine’s delicate sensibilities. These are not my people. I love the contrast between the wine’s glistering acidity and the cheese’s creamy paste, the juxtaposition of aromas and textures and temperatures. Cheeses are set out to temper before serving, while sparkling wines are chilled way down—somewhere between 40°F and 45°F. The pairing of soothing-creamy-cheesy against icy-prickly-bubbly is an object lesson in complementarity. But do choose your wines wisely. Sparklers made in the traditional method, with secondary fermentation in the bottle, usually have more structure and savoriness than tank-method wines, giving them enough oomph to pair with flavorful, savory foods. Bottle age adds a vein of nuttiness, too, which echoes the notes in aged cheeses. 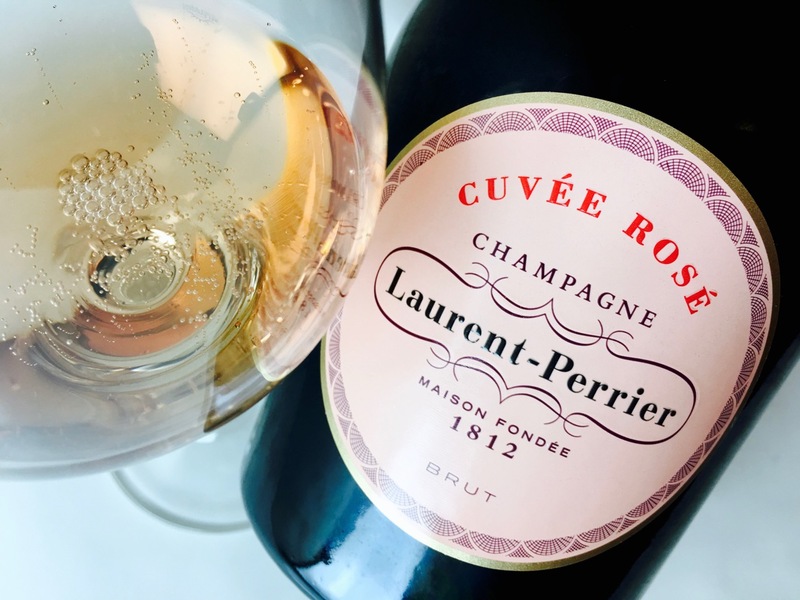 Try late-disgorged or vintage sparklers, or, for a scintilla of vintage wine complexity sans vintage wine pricing, buy well-made Brut and lay it down for a year or two. Rosé sparkling wines made from Pinot Noir often have fruit notes that play the same role as the juicy berries on a cheese plate. Ditto wines made from floral grapes like Muscat. And both white and rosé wines that have some sweetness pair beautifully with many salty foods. Look for labels that say sec, demi-sec, or doux (French Champagne or Crémant); amabile or dolce (Italian metodo classico); or semi-seco or dulce (Spanish Cava). Or just plain Off-dry. Choose your cheeses wisely, too. Cheeses with delicate flavors and smooth, creamy textures seem to work best. In particular, try fresh, soft, and bloomy-rind cheeses made from cow’s milk, like Brie, Camembert, Brillat-Savarin, triple crème, or Chaource. Similar styles made from sheep’s or goat’s milk also work, although their more pronounced flavors render the pairing less congruous, more complicated (and possibly more interesting). Harder cheeses are terrific with sparkling wines that have some bottle age. Try Gruyère, Comté, Bel Paese, Edam, or young Manchego—any cheese with a medium-firm paste and mild, nutty flavor. I find moldy-veined cheeses (Roquefort, Stilton, Gorgonzola) too punguent and assertive for all but the most savory sparkling wines. Still, the aromatic (some might say stinky) washed-rind cheeses like Taleggio, Livarot, or Époisses do work well because their insides are so much tamer than their outsides. Below are ten great méthode traditionnelle sparkling wines from recent tastings. Even if you can’t find these particular labels, you’ll see many similar styles on shelves right now. I’ve also suggested a cheese to try with each wine. Could you serve it with any cheese? Sure. But consider this a starting point to explore what works best for you. Becuase it’s not just the season of bubbles—it’s the season of bubbles and cheese. For more cheese pairing tips, see Pairing Wine and Cheese, Made Easy. Aromas of crisp green apple, toast, and fresh wheat bread highlight this blend of Chardonnay, Pinot Blanc, and Pinot Noir. The body’s gorgeous pearly mousse crackles with acidity and minerality, and the finish is like biting a juicy lime. Lip-smacking, creamy, and delicious. Great with fresh goat cheese. The cheese’s tang and chalky texture marries beautifully with the wine’s sharp mineral acidity. Notes of green citrus, yellow apple, and brine give this wine a breezy freshness. A hint of savory bitterness and a surprising peach nectar finish add dimension. This Chardonnay-dominant blend also includes Chenin Blanc, Mauzac, and Pinot Noir for rounded berry and stone fruit notes. Pair it with bloomy-rind goat cheese, whose creamy interior and funky rind balance the wine’s fruit and toasty aging notes. This cuvée of Pinot Noir, Chardonnay, and Muscat has a charming pinkish-gold color and aromas of yeasty pear and pome fruits. A copious mousse delivers a mouthful of ripe Bosc pear and yellow peach. Coating and off-dry, it’s a flowery bouquet of a wine with abundant fruit but a finishing zap of zesty lime. Pair it with Casatica di Buffala, a semi-aged water buffalo’s milk cheese from Northern Italy. This salty, mild, very rich cheese is a perfect foil for the wine’s coy sweetness. Pale rose gold with copious medium-coarse foam. Aromas of strawberries and melon mingle with nutty toast; the wine spent one and a half years en tirage, imbuing it with leesy savoriness. Coarse on the palate with flavors of strawberry and kiwi, this is a fruit-driven wine, not overly dry, but its acidity is balancing. The wine’s lovely color derives from some cold-soaked vin gris of Pinot Noir added to the must. Taste it with Brie or other bloomy-rind cow’s milk cheese. The wine will act like strawberries on a cheese plate—juicy and delicious after a bite of creamy Brie. Clean pale yellow with copious bubbles, the wine opens with aromas of biscuit and nut, and it’s pleasantly round on the palate, with big fruit and a lemony finish. Glittery acidity and a medium-coarse texture make the wine feel both spritely and cleansing. Pour it with Gruyère; the nuttiness of the cheese will complement the toasty aging notes in the wine. Rosy tourmaline color with fine but copious bubbles. The nose has notes of pink berries and a touch of bread, and there are flavors of strawberries and guava with a citrus-juice finish. Robust mousse adds pleasant refreshment. Pair with Manchego, preferably a younger style. A fruity Pinot Noir rosé is great with salty cheeses—plus, this wine and that cheese grew up together in Spain. Spirited and fresh, this Chardonnay-dominant Brut is pale, clear yellow with bracing citrus, pome fruit, and fresh biscuit aromas. The sparkling texture and limey finish give it a racy final impression. Pair it with Taleggio or other washed-rind cow’s milk cheese. The cheese’s earthy redolence and silky texture play beautifully with this brisk and buoyant wine. A gorgeous rosé Franciacorta with boistrous foam that subsides in aromas of toasty biscuit, tart cranberry, field strawberry, and bread. Extremely elegant and spritely, but with a savory note from a bit of bottle age (it was disgorged in 2013). Try it with Camembert. The creamy, nutty complexity of the cheese will beautifully match the wine’s laciness and fine details. 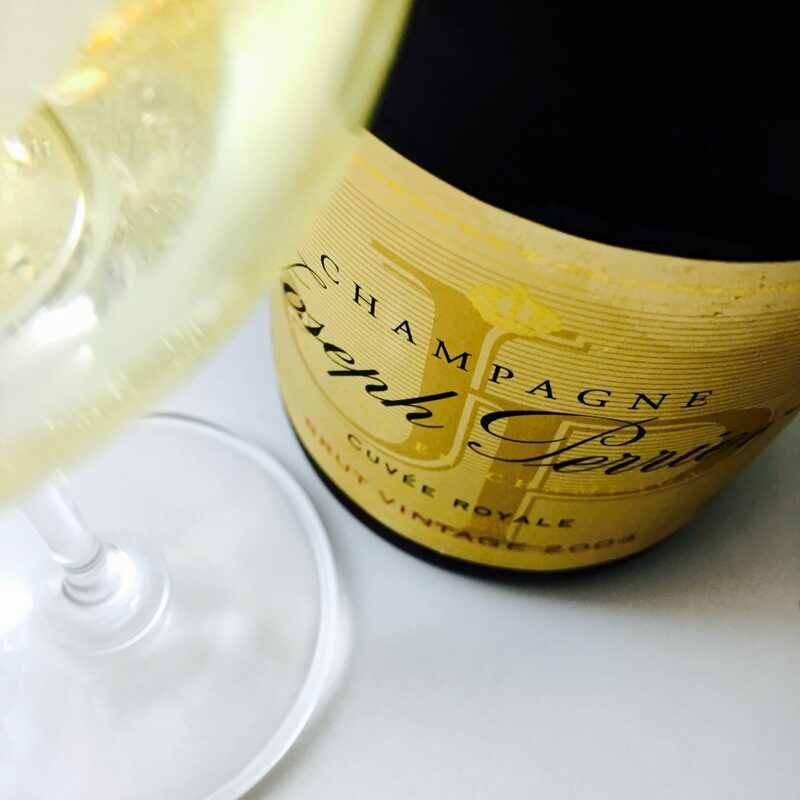 A blend of Chardonnay and Pinot Noir with a tiny drop of Pinot Meunier, this méthode traditionnelle sparkler spent two years en tirage and six months in bottle after disgorgement. Its fine bubbles deliver yeasty, toasty brioche aromas that mingle with tart green apple and mandarin orange. Fruit-driven but dry, the body offers a creamy palate topped with juicy citrus acidity and lime peel snap. Pair it with fresh or bloomy-rind goat cheese. The lime-citrus notes will play beautifully against the cheese’s piquancy. Lovely coral pink. Yeasty, toasty, and elegant; aromatically more elaborate than the Brut. Complex secondary aromas of nut, earth, and almost-truffle add depth and dimension. The body is ample and creamy, and the red fruit notes feel demure. What dominates is spritely ruby citrus acidity, a savory mid-palate, and a multifaceted, almost paisley finishing impression. Try it with Winnimere or Harbison (from Jasper Hill Farm) or a Bergfichte from Switzerland. These soft cow’s milk cheeses are wrapped in bark, imbuing them with an earthy, forest redolence. Truly, a wide range of soft and hard cheeses, even truffled cheese, would pair well with J’s savory Brut Rosé. This wine was made for cheese. What a timely post. Thank you. We are going to an all Champagne dinner in 2 weeks and are bringing the cheeses. It’s always helpful to get some additional insight on appropriate pairings. Thank you for reading, David. How can I swing an invitation to your all-Champagne dinner? If I was hosting it you would have one. I’m considering throwing an all-Champagne dinner party for my big-Zero birthday in three weeks.